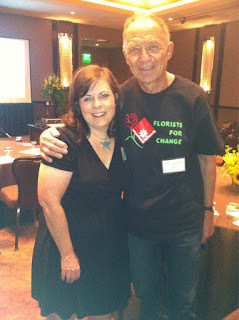 Florists for Change held their second meeting this October to discuss the frustrations of the local florist community. The main problem is the way wire-services have reacted to the growing number of order gatherers online. Order gatherers deprive local flower shops of income and wire-services have ignored this problem. Wire-services provided an essential tool to florists; the ability to network with other florists around the world. In the past, if a client needed to deliver flowers to someone in an other city, he would place the order with his local florist. The order would get passed to the wire-service. Then, the wire-service would transfer the order to a flower shop in the other city. The money flow would go something like this. The florist or order gatherer who takes the order gets 20% of the order + service charges. The wire-service receives a 7% cut and also charges a monthly fee to florists or order gatherers within their directory. The delivering florist would have to fill the 100% of the order with only 73% of the money. The system used to work fine because the number of wire-ins (received orders) and wire-outs (orders transfered) would balance out. Now, the shops perform less wire-outs because customers rely on the internet to place orders. 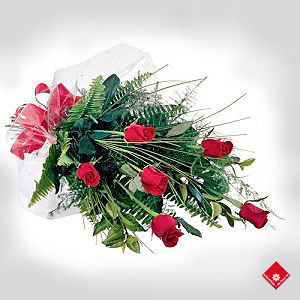 Online, order gatherers pose a threat to the florist community, because they do not provide any service. They only gather orders and sell the information! Buy the roses in Montreal and drive to Toronto. Order the flowers to be delivered through a Montreal florist. Place the order with a florist in Toronto. Paul doesn't want to waste a day driving. He decides to find a Toronto florist online and place his order online. After placing his order, he realizes that the Toronto florist does not have a Toronto address, but is actually in Sault Saint-Marie! He has been deceived by an order-gatherer. Order Gatherers take advantage of the system. They optimize their websites for specific areas and gather orders. They do not even need to be florists. They must only present themselves as such to get 20% profit on any single delivery order they receive! In addition, order gatherers often do not explain to their customer that tax might be deducted from their orders on the delivering end. This is why it is always best to place orders through your local florist or to verify that the online florist is a real florist. They have the knowledge and experience required to give great customer service. Real Florist or Order Gatherer? It is not because you see the logos of wire-services such as FTD or Teleflora that a web site represents a real florist. You should always verify the online store's phone number and address. If there is only a 800 number, you are probably dealing with an order-gatherer. There must always be a phone number with appropriate area code and a physical address. In addition, to ensure you get quality service, always call the shop and ask them questions about the flowers. Trust your instinct! The Florists for Change mission is to put pressure on the wire-services. They want wire-services to refuse order-gatherers access to their directories. If wire-services do not accept to do this, Florist for Change might have to become a new breed of wire-service.